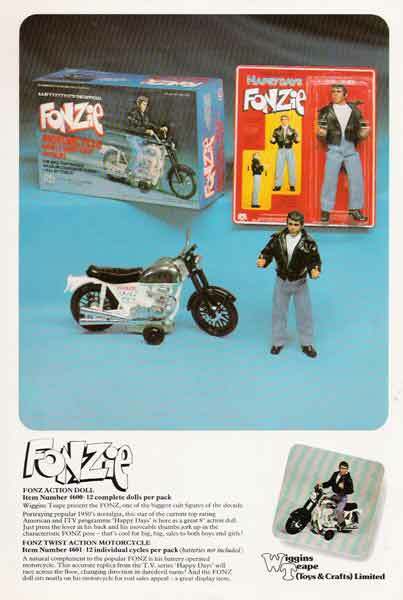 Wiggins Teape had the distribution rights to one of Mego's better known properties in 1978, TV's "Fonzie". 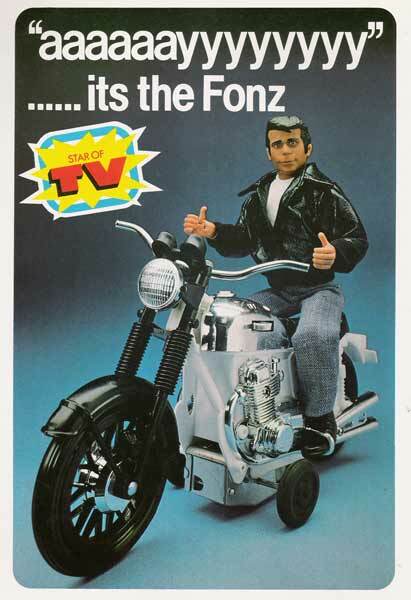 According to the catalog copy "The Fonz is one of the biggest Cult stars of the Decade!" 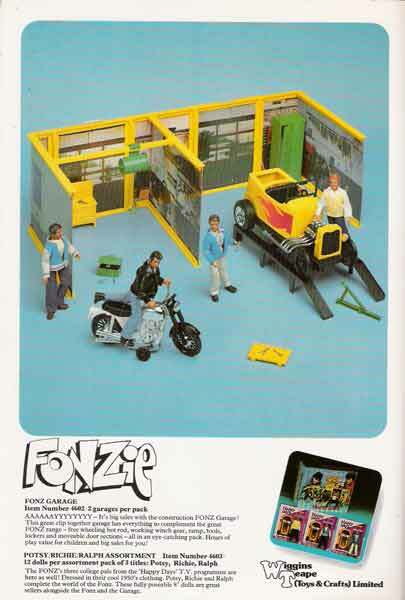 The Happy Days Gang makes an appearance.....on page 3.